Full size images of the awesome illustrations in Eric Says Please to use on big screens. Together with the story book these images allow you to read the story while showing the pictures on a large screen so that everyone can see them. 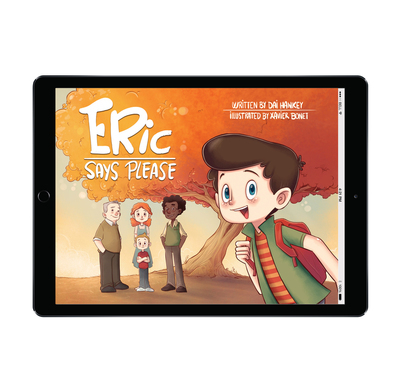 Eric Says Please is the tale of Eric's terrible day as he refuses any help. Then Grandpa tells Eric that we should always be ready to ask for help - from family, friends, teachers - and especially from God himself. A great way to teach children to depend on God.